The Web has revolutionized so many things, but has only just begun to change what really matters—the physical world. The things you pick up, drive, sit on, and rely on to live your life haven’t been affected by the digital revolution. Until now. The Art of Product Design explains the rise of Open Engineering, a way of breaking down barriers and taking advantage of web-based communities, knowledge, and tools to accelerate the design and manufacturing processes. within reach for companies of all sizes. Learn how big organizations like GE and Nokia are jump in with both feet, by issuing an open “Challenge” seeking novel engineering solutions to their hardest problems. See how small companies like Rest Devices try a hundred prototype designs to find the perfect fit, in less than a year. Meet the individual engineers all over the world finding new ways to build great products faster. About The Author: Hardi Meybaum is a mechanical engineer and the founder and CEO of GrabCAD Inc. Hardi’s vision of how manufacturers, engineers, designers, and students could work together online led him to create the GrabCAD Community for engineers and designers, bringing together more than 1M members who have shared more than 300,000 projects. 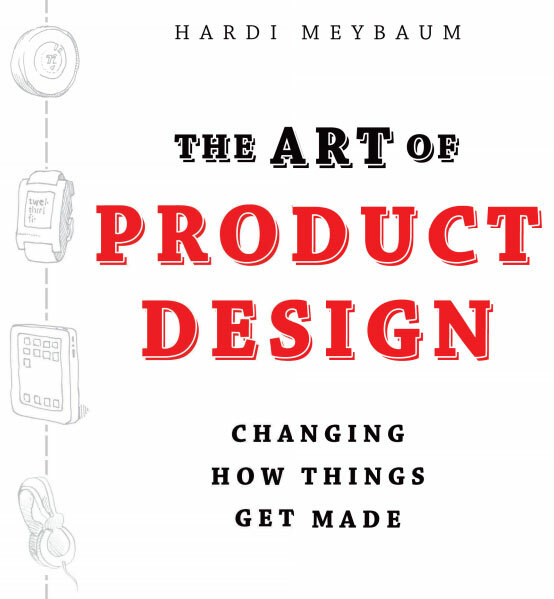 Hardi wrote “The Art of Product Design” to help non-engineers understand how the Internet is revolutionizing the way new products are invented and made, and how those changes will affect everyone associated with physical products – whether they design, make, market, or sell. Previous post: How many tech companies today can claim they produce products and services that don’t become outdated and obsolete within a year or two?